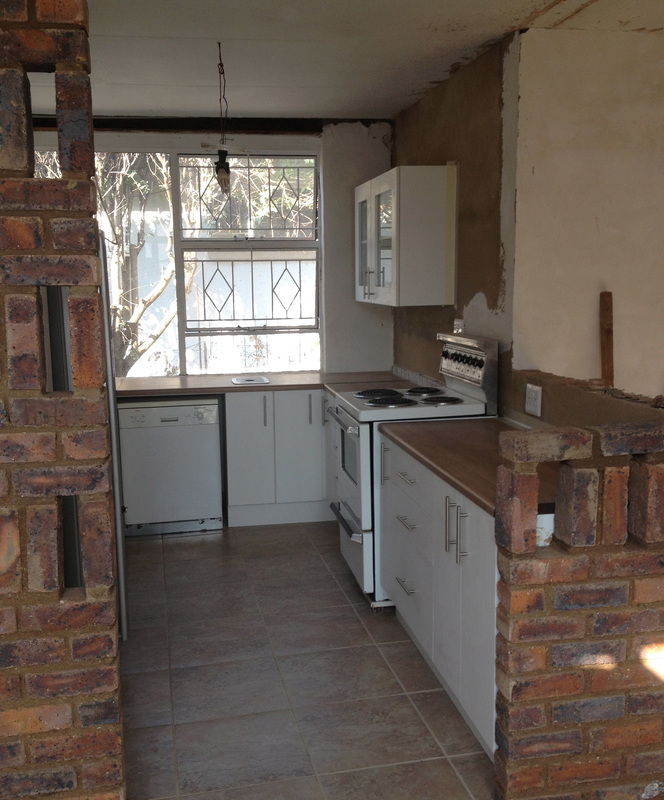 Sometimes kitchens just need an overhaul or facelift to become beautiful again. 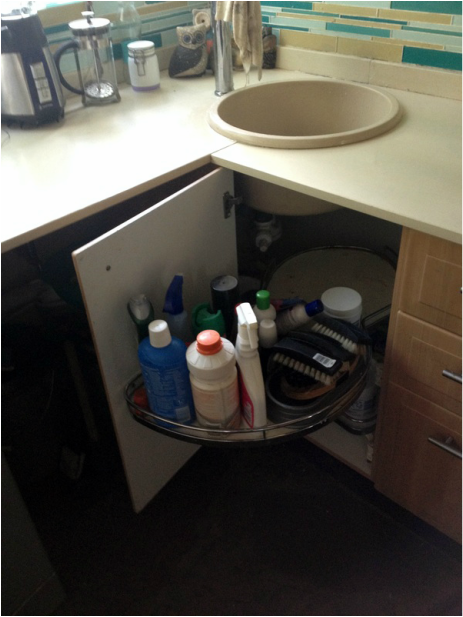 We never shy away from helping to rework and maintain outdated or worn down cabinetry, bringing new life to otherwise unsuitable fittings. 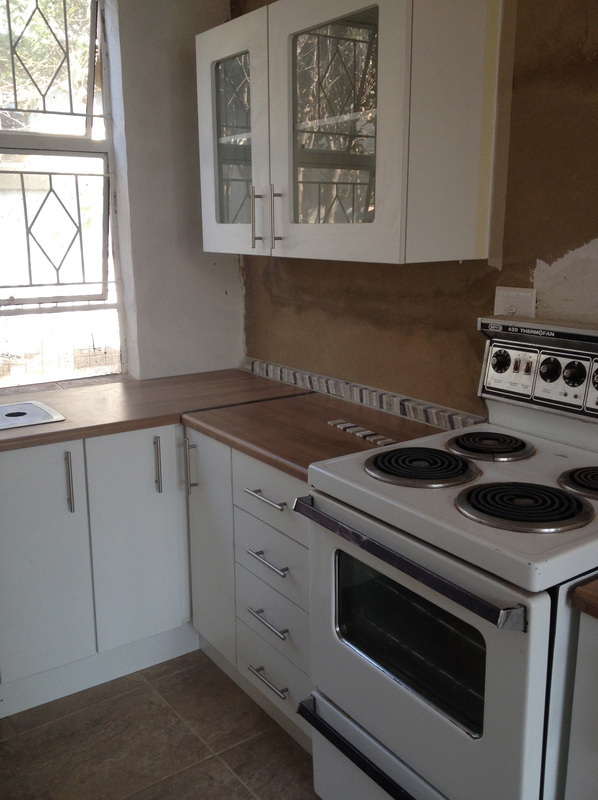 In this way, clients can effectively have the feel of a new kitchen without the full cost of one. 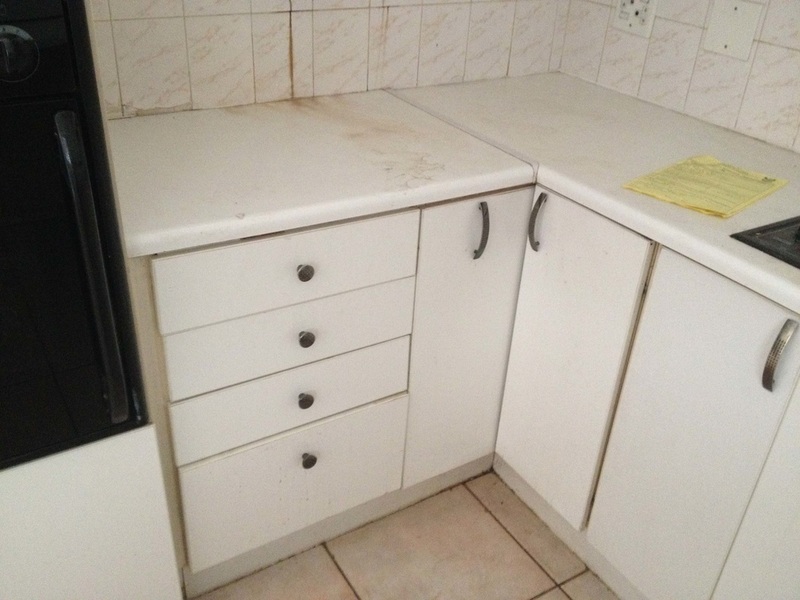 The amount of salvaging obviously rests on the extent of damage due to wear and tear. 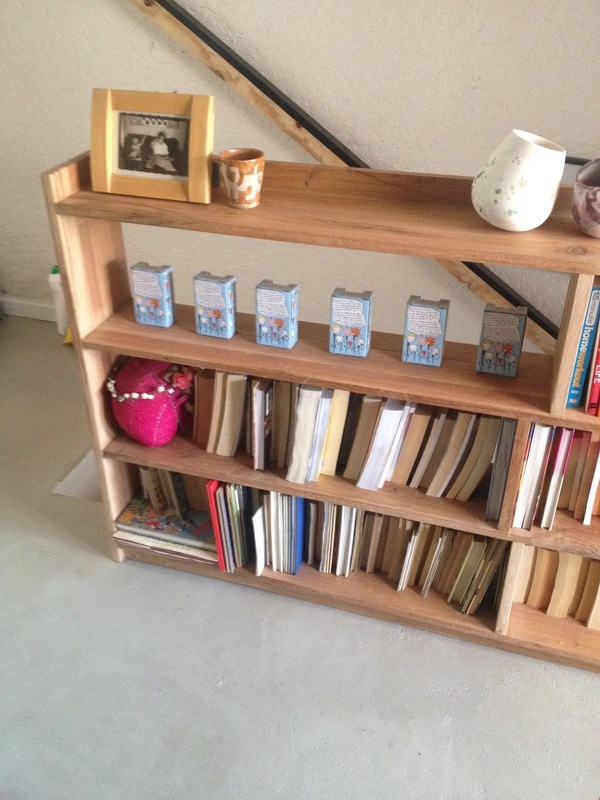 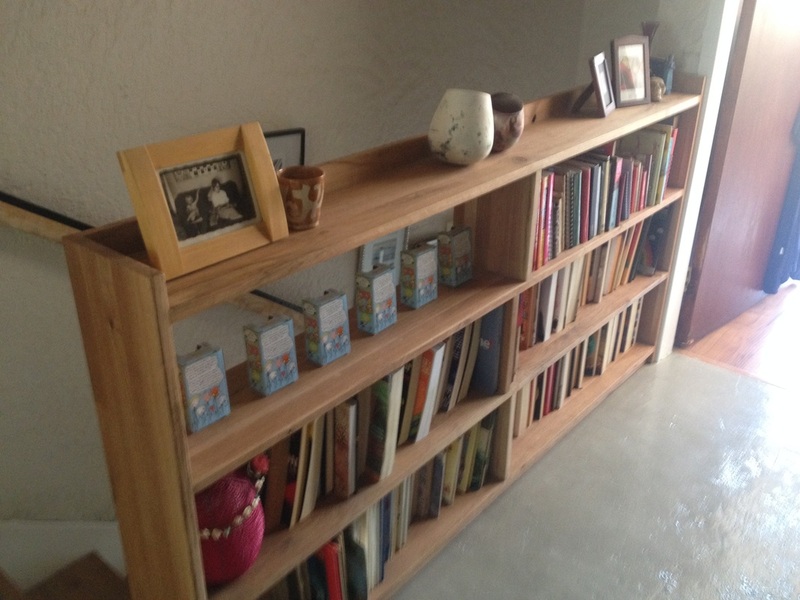 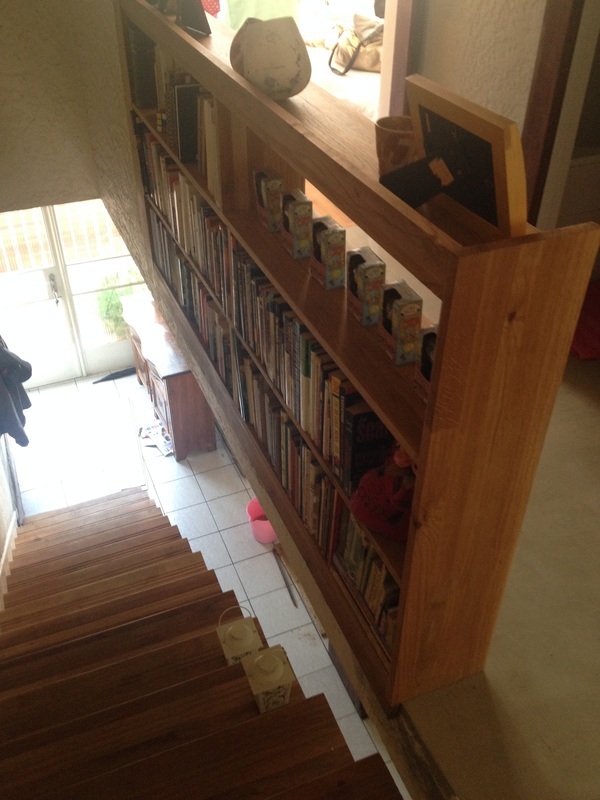 Stair treads and Bookcase in Robindale - French Oak solid timber elements. 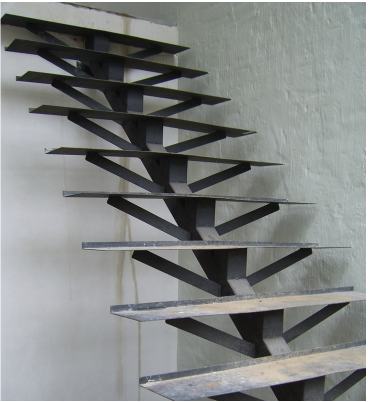 The dated black stair treads are replaced with beautifully crafted French Oak treads, while the balustrade is substituted by a more practical double-sided bookshelf which still functions as a safety partition. 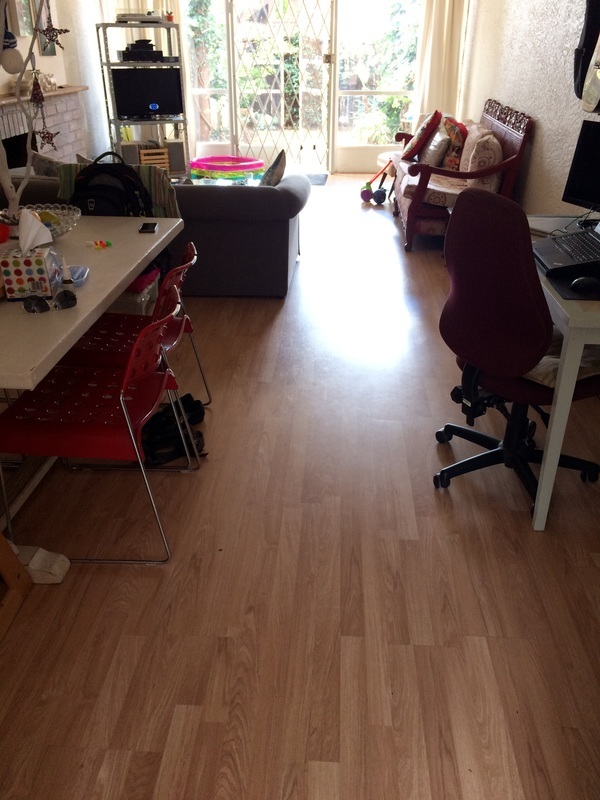 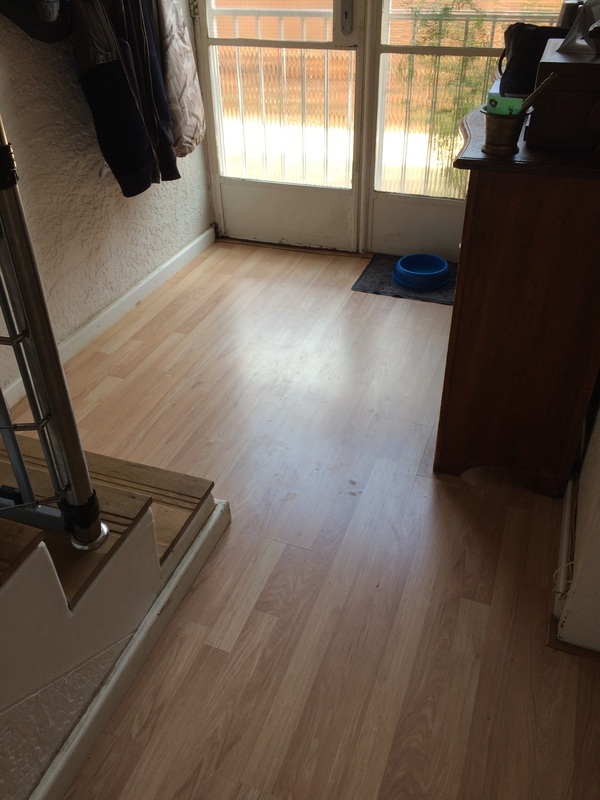 Laminate flooring was also installed after leveling the uneven tiled areas with screed. 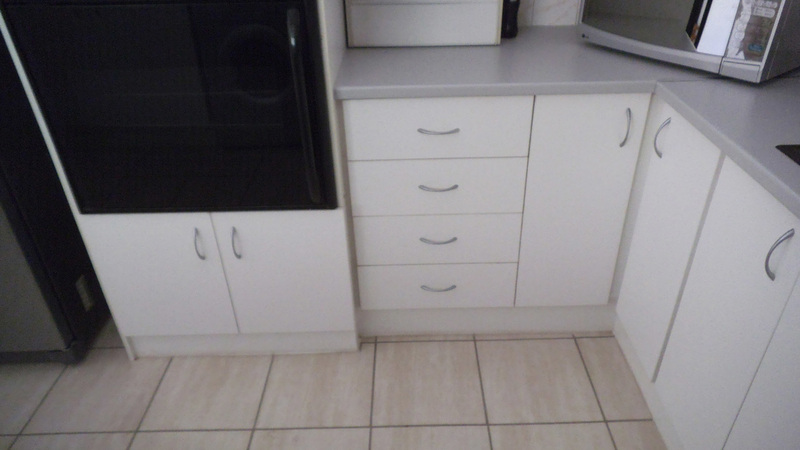 Relocation/Revamp of old Kitchen to cottage - Relocated cabinets, added necessary additional carcasses and replaced doors, counter tops, handles and other fittings. 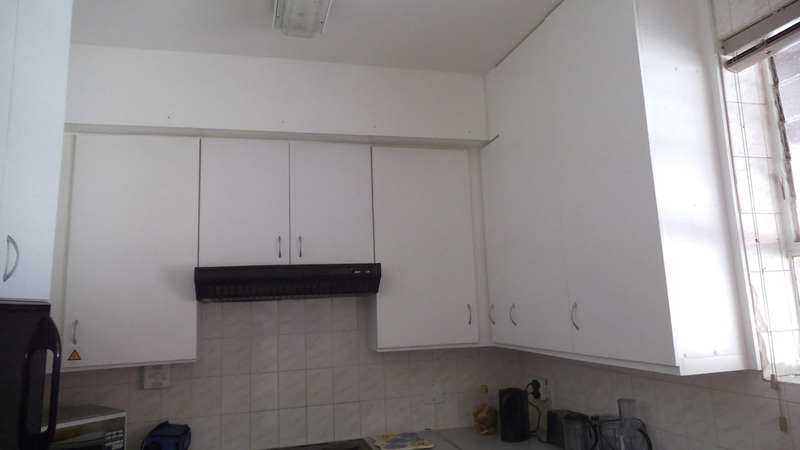 Repairs to Kitchen after water damage - Replaced and/or rebuilt cabinets, replaced doors and counter tops. 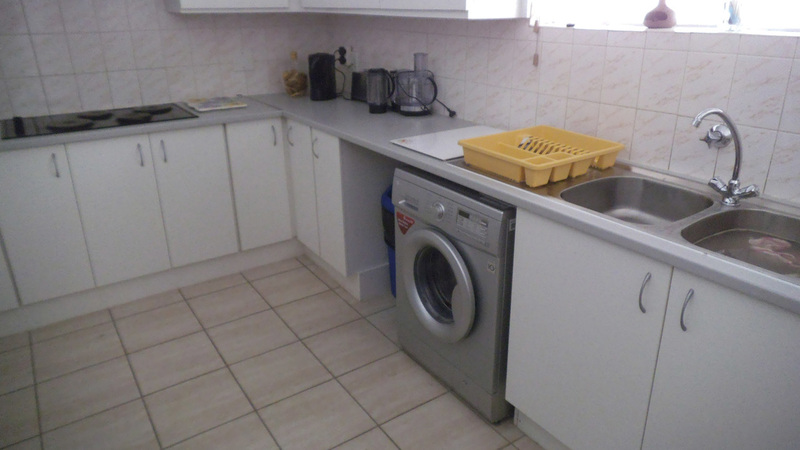 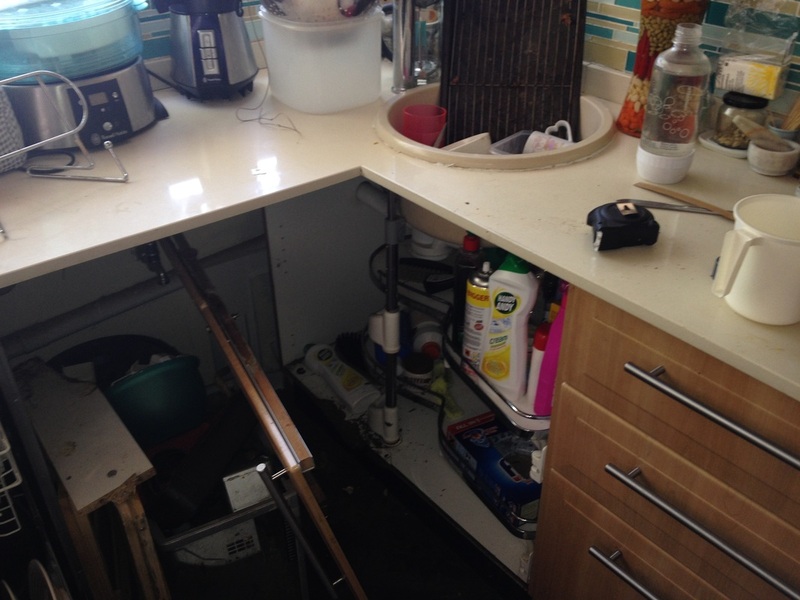 Repairs to Kitchen Sink Area - Replaced sink unit, door and mechanism. 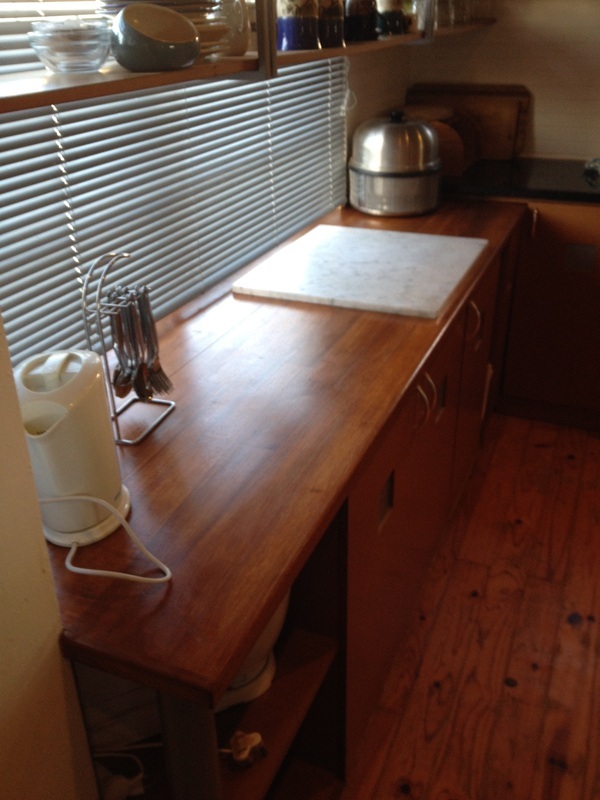 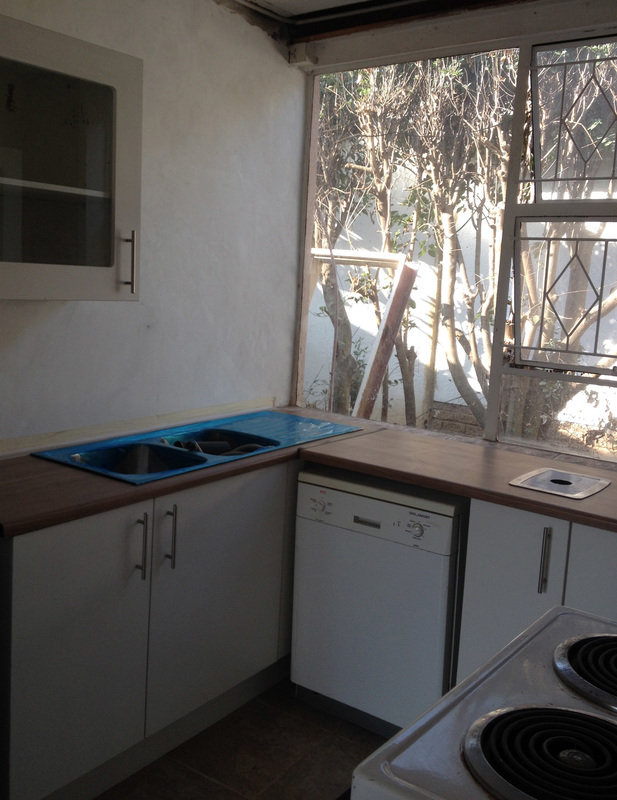 Counter Top Refurbish - Private Beach House in the Eastern Cape - Sand and resurface. 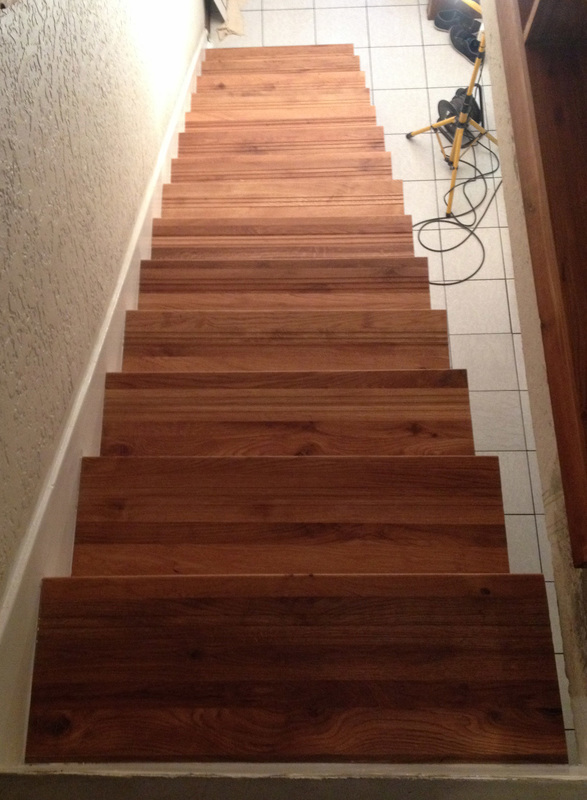 Although this maintenance/repair project had many other aspects, the sanding and revarnishing here was the most notable change. 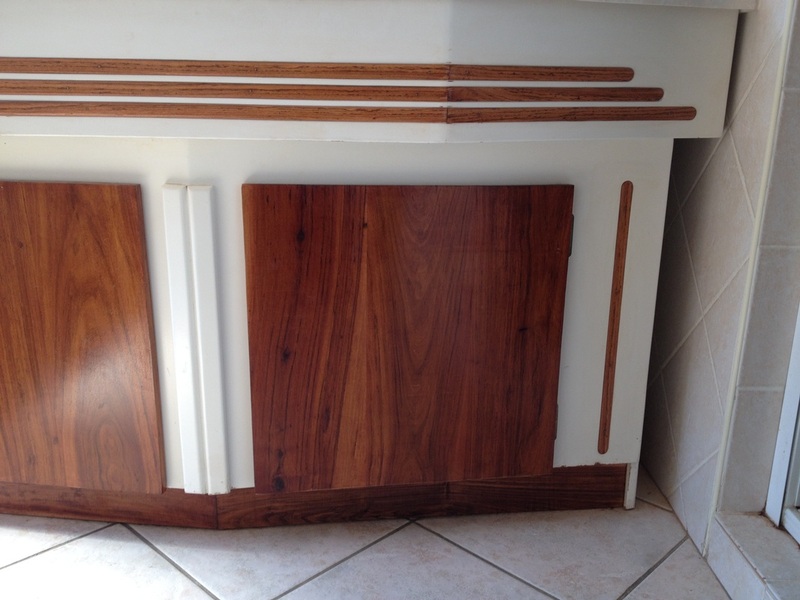 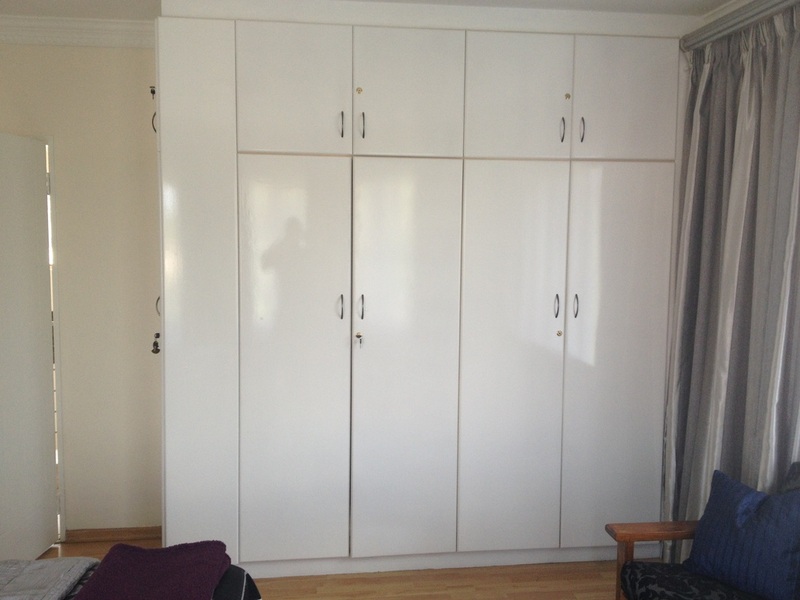 Bathroom Cabinet and Mirror - Rhodesian Teak door replacements and mirror frame. 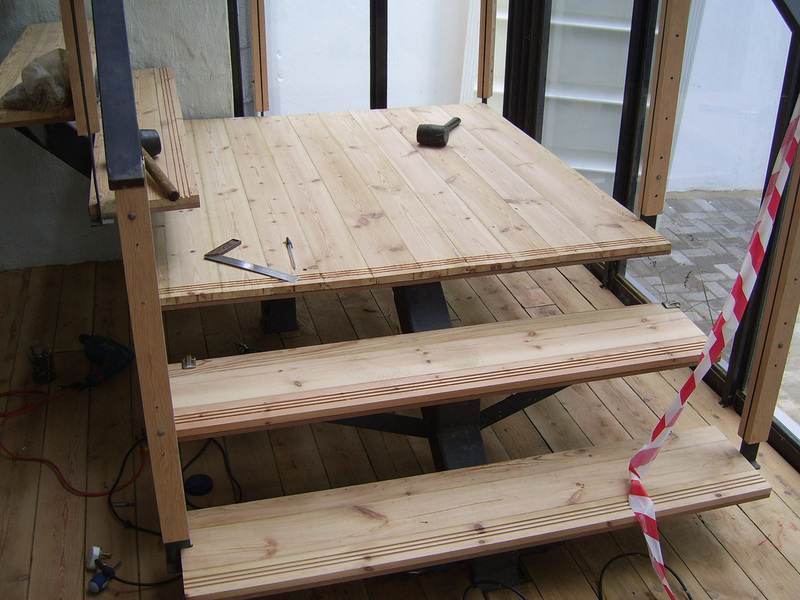 The original carcass was kept and reinforced. 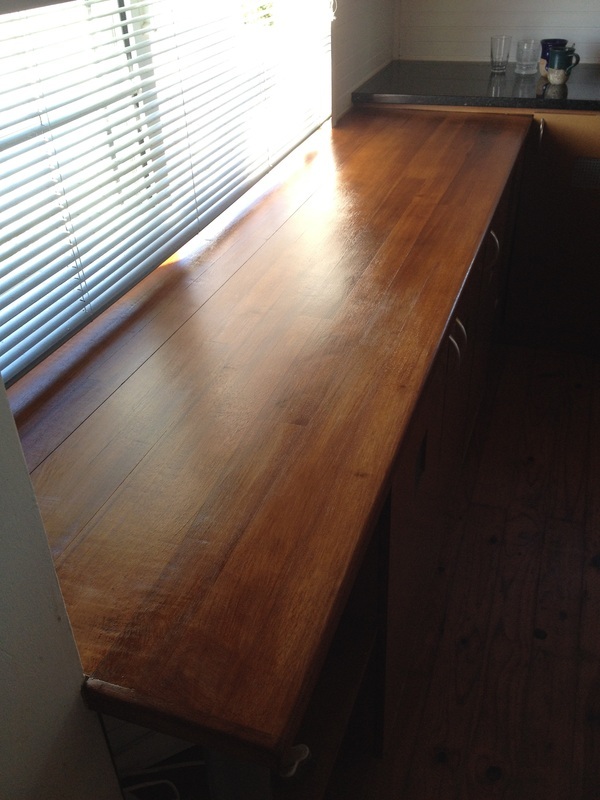 Doors and detailing here were replaced with Rhodesian Teak including the carefully modeled beading and mirror frame. 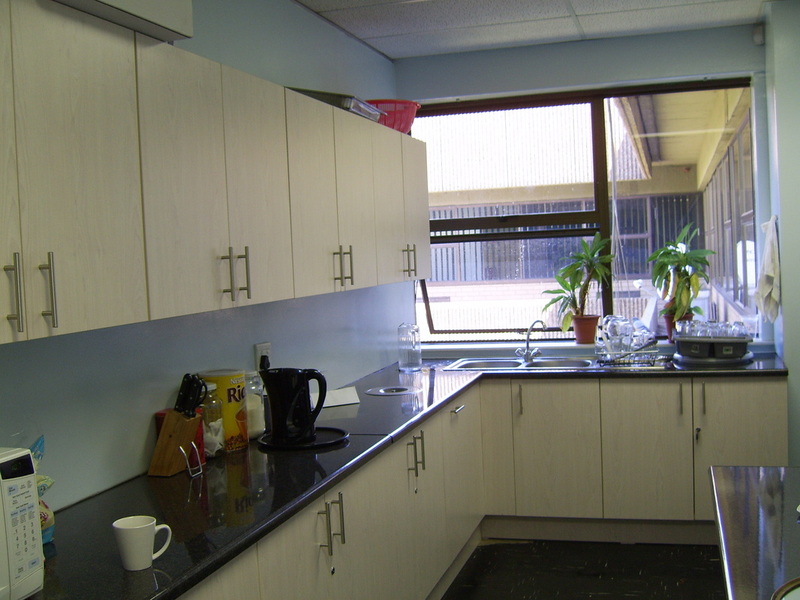 This office space kitchen required a rebuild of the sink area, new doors; modern handles; side panels and counter tops. 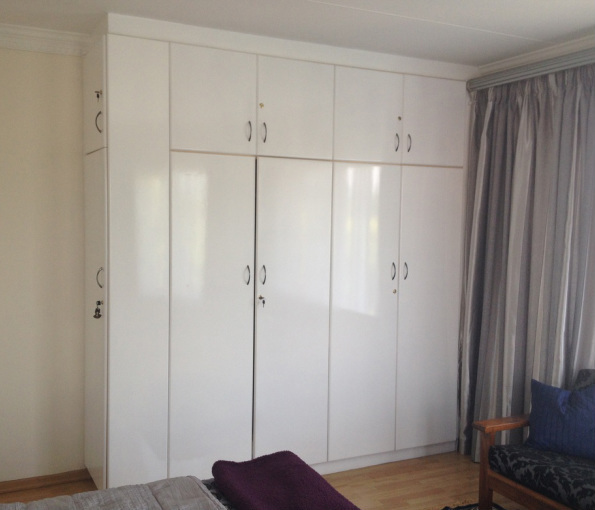 Old doors were stripped, sanded and recoated with Duco; as were exposed panels. 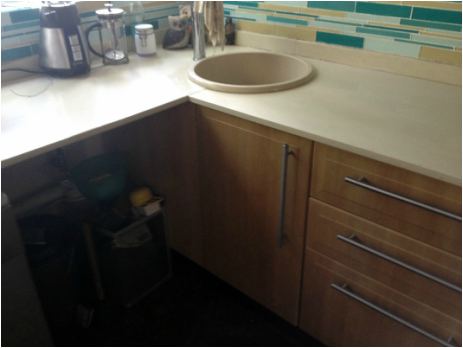 Handles were also replaced. 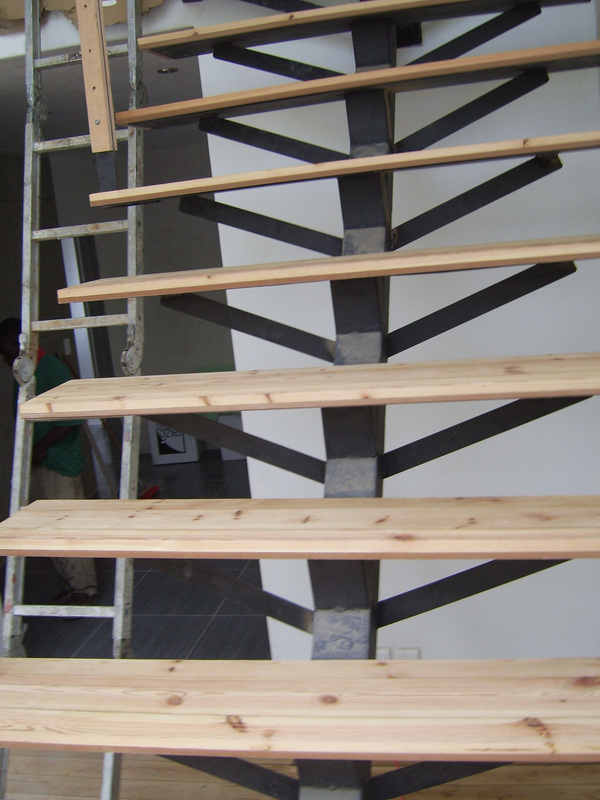 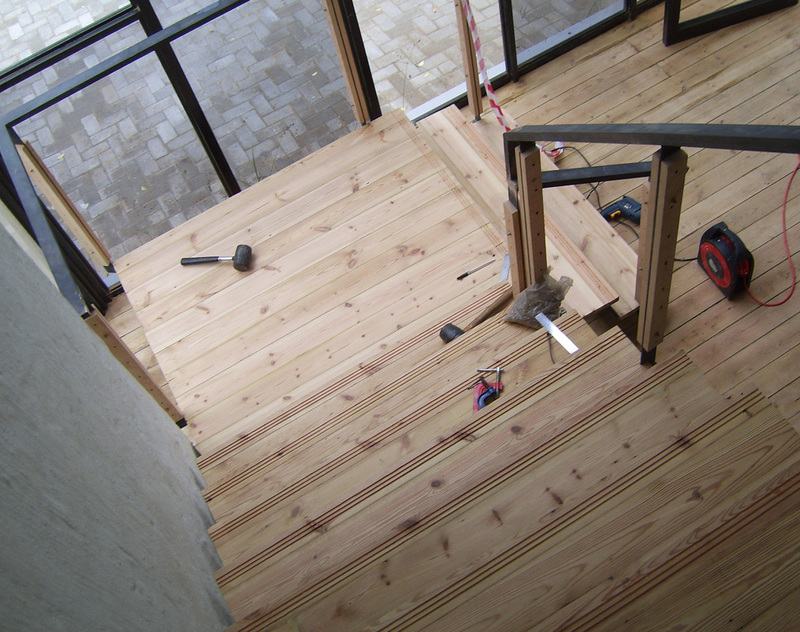 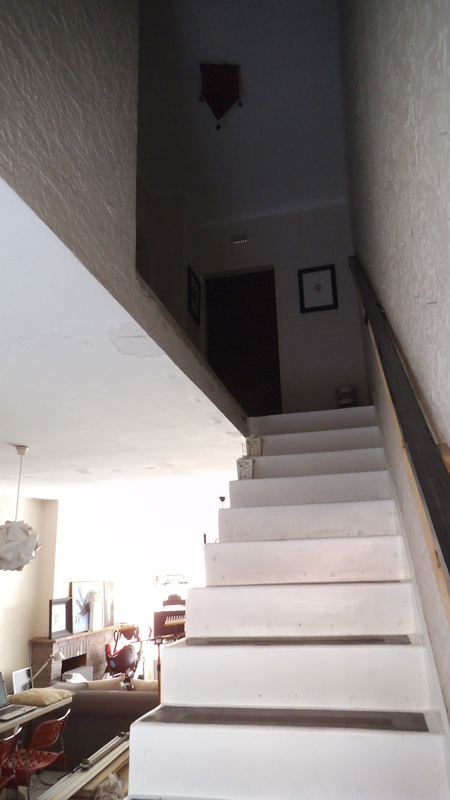 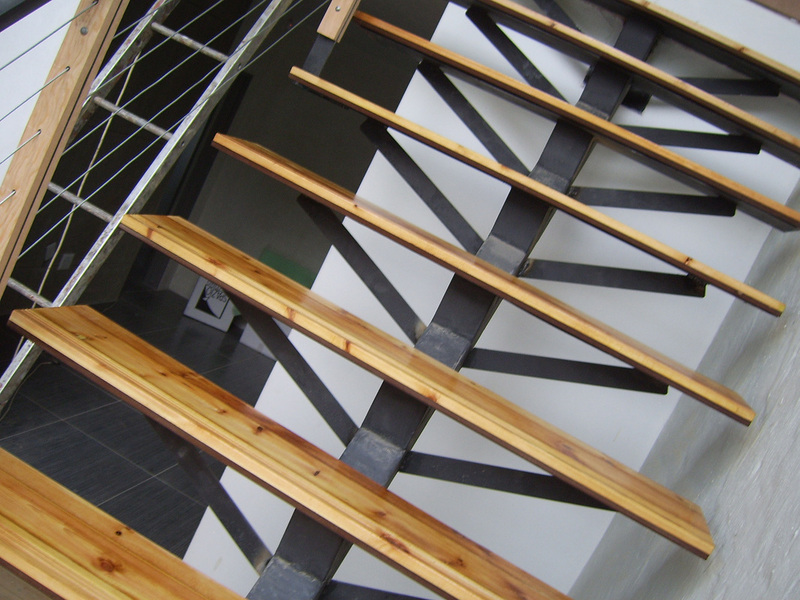 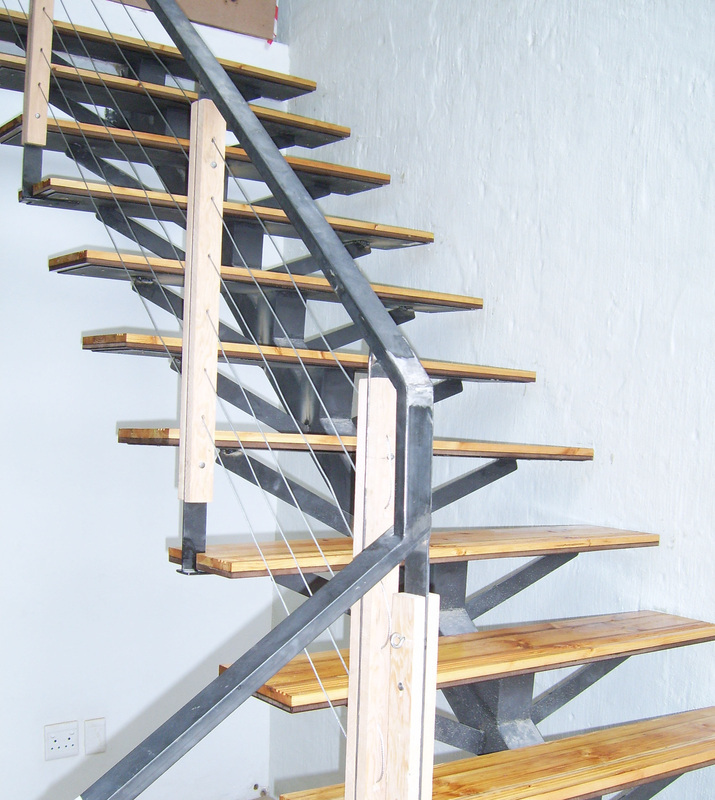 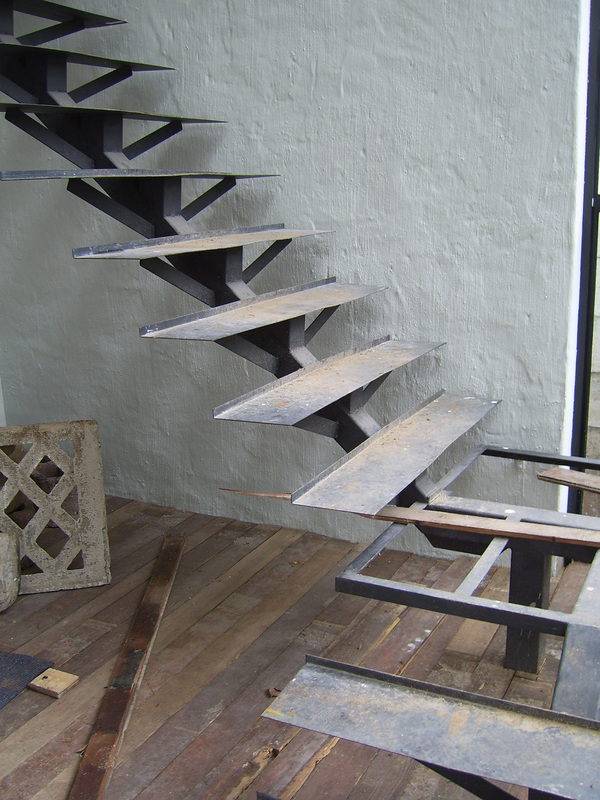 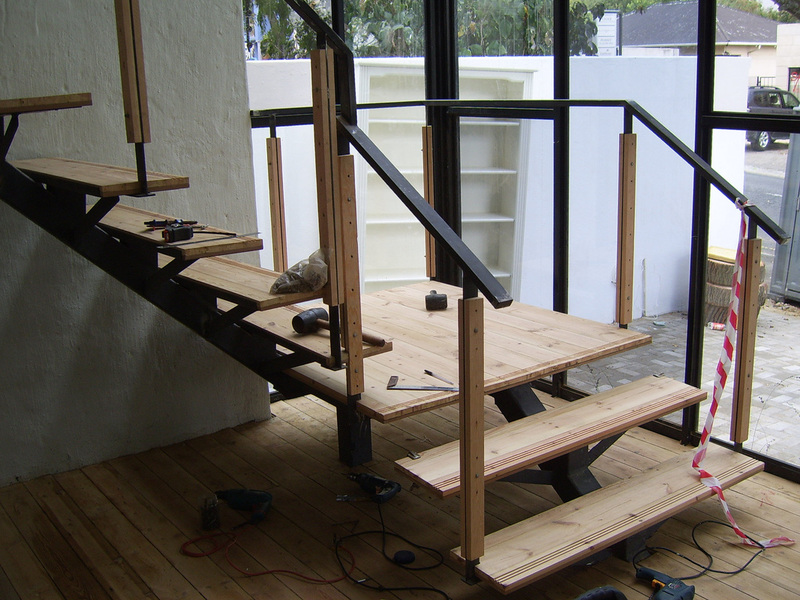 Stairway - Reclaimed Wood, Parkhurst - Pine solid wood mounted on MDF and set onto structure. 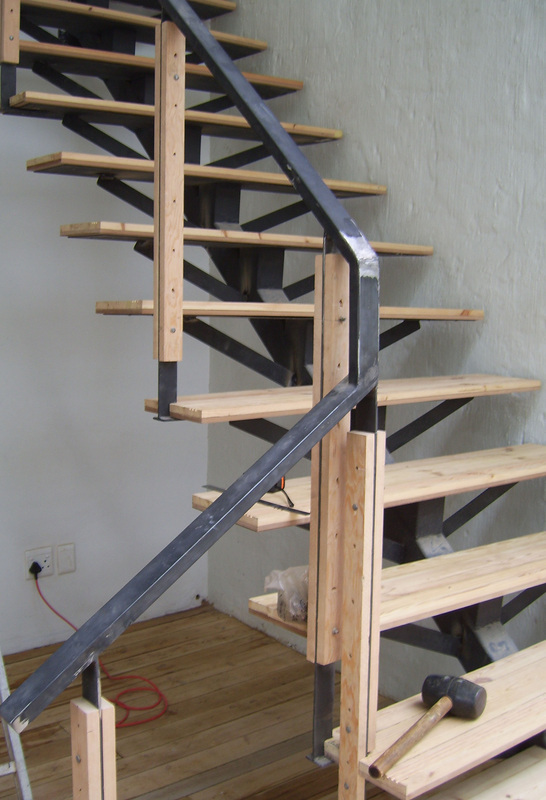 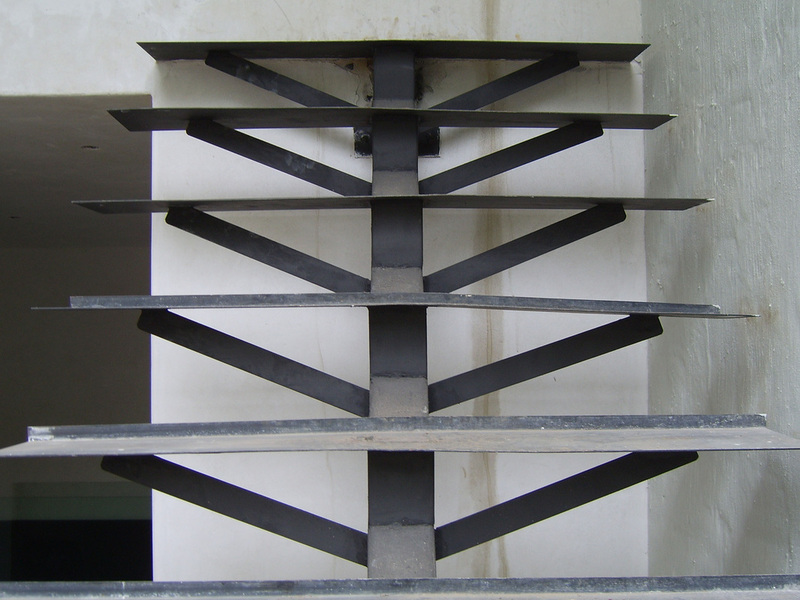 These stairs were made by refurbishing old floorboards, which were then joined, cut to size and fastened to an existing steel frame.